Today is the first Saturday in May, the day, traditionally when the Kentucky Derby is run in Louisville, Kentucky, capping the two-week-long Kentucky Derby Festival. The race is a Grade I stakes race for three-year-old thoroughbreds at a distance of one and a quarter miles (2 km) at Churchill Downs. Colts and geldings carry 126 pounds (57 kilograms) and fillies 121 pounds (55 kilograms). 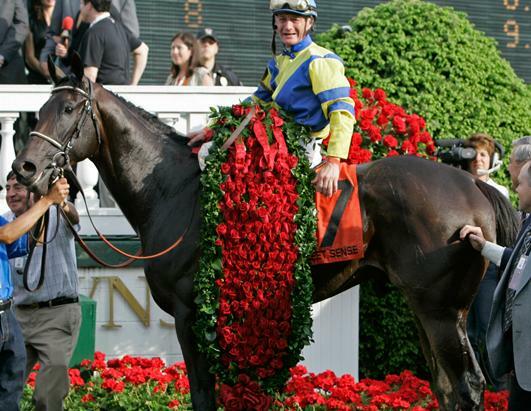 The race is known in the United States by many nicknames including “The Most Exciting Two Minutes In Sports” or “The Fastest Two Minutes in Sports” for its approximate duration, and is also called “The Run for the Roses” for the blanket of roses draped over the winner. It has been run every consecutive year since 1875. This year’s (2017) race will be the 143rd running with a $2 million guaranteed purse. Derby Day was always a special day in our house when my wife was alive because she was born in Louisville and was extremely proud of her Kentucky heritage. Her family had celebrated Derby Day with a party all the years that she was growing up, and we continued the tradition. I only stopped when she died because it was too sad a reminder. The week before the Derby she would buy racing forms and newspapers with details on the year’s horses and after spending some time poring over them would pick her favorite. Sometimes we had the party at our house, sometimes at a neighbors’ house, but it was always the same: burgoo, cornbread, and mint juleps (recipes below) for everyone with the television on from the morning hours until the race itself.
. . . and the blanket of roses at the end. My wife would sit glued to the set through all of this, and always sang “My Old Kentucky Home” with tears pouring down her face. At this point you could either be deathly silent or sing along – otherwise she would kill you. This was the pinnacle of the year for her: more than her birthday, Christmas, New Year, and Easter, even if you rolled them all into one. In 1872, Col. Meriwether Lewis Clark, Jr., grandson of William Clark of the Lewis and Clark expedition, traveled to England to see the Epsom Derby, a famous race that had been running annually since 1780 (and is still run – replete with men in formal wear and women in startling hats). From there, Clark went on to Paris where in 1863, a group of racing enthusiasts had formed the French Jockey Club and had organized the Grand Prix de Paris at Longchamp, which at the time was the greatest race in France. 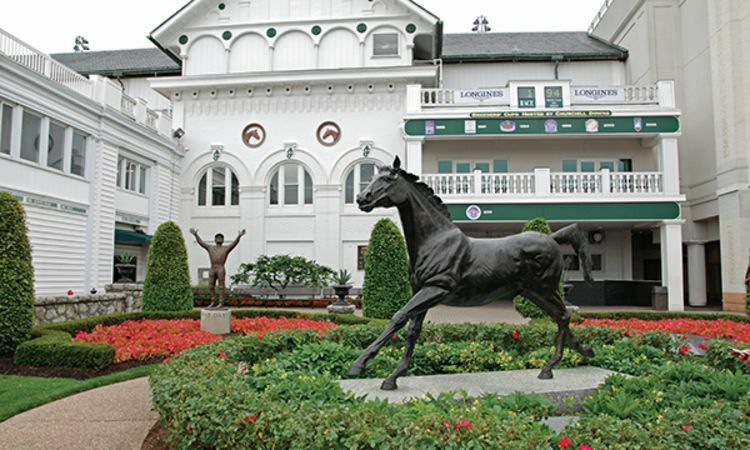 Returning home to Kentucky, Clark organized the Louisville Jockey Club for the purpose of raising money to build quality racing facilities just outside the city. The track would soon become known as Churchill Downs, named for John and Henry Churchill, who provided the land for the racetrack. 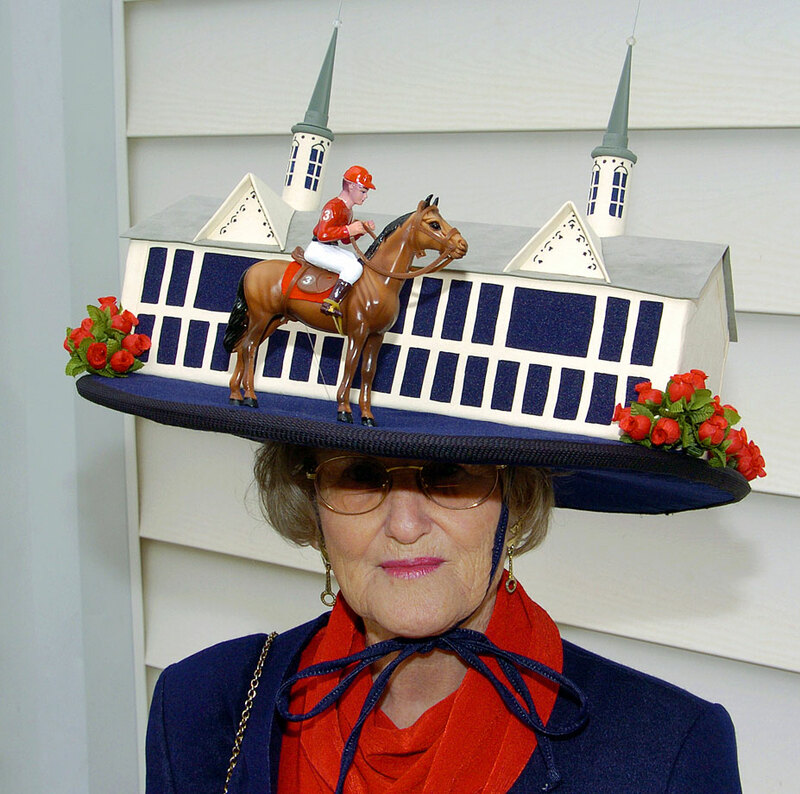 The Kentucky Derby was first run at 1 ½ miles (10 furlongs or 2.4 kilometers), the same distance as the Epsom Derby. The distance was changed in 1896 to its current 1 ¼ miles (8 furlongs or 2.0 kilometers). On May 17, 1875, in front of an estimated crowd of 10,000 people, a field of 15 three-year-old horses contested the first Derby. Under jockey Oliver Lewis, a colt named Aristides, who was trained by future Hall of Famer Ansel Williamson, won the inaugural Derby. Although the first race meeting proved a success, the track ran into financial difficulties and in 1894 the New Louisville Jockey Club was incorporated with new capitalization and improved facilities. Despite this, the business foundered until 1902 when Col. Matt Winn of Louisville put together a syndicate of businessmen to acquire the facility. Under Winn, Churchill Downs prospered and the Kentucky Derby then became the preeminent stakes race for three-year-old thoroughbred horses in North America. Derby participants are limited to three-year-old horses. 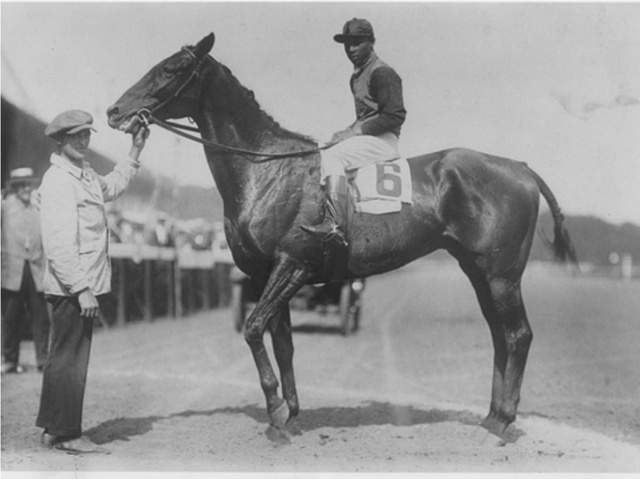 No horse since Apollo in 1882 has won the Derby without having raced at age two. I gave my personal recipe for skillet cornbread here in honor of Aristedes, http://www.bookofdaystales.com/aristedes/ and my recipe and thoughts about Kentucky burgoo here in honor of Stephen Foster http://www.bookofdaystales.com/stephen-foster/ Now let’s turn our attention to the classic mint julep. There are scores of variations, but mine is classic. You can use special silver julep cups if you wish. Being poor we used glass tumblers which are perfectly traditional also. You have to start on the day before (or sooner) by making the mint syrup. It needs time for the flavors to develop. I always picked fresh peppermint from the garden for this. Make a simple syrup by taking one part sugar and one part water in a pan and bringing it to the boil while stirring to dissolve the sugar. Take it off the heat, dump in a handful of mint leaves, bruise them a little in the syrup, then pour it into a glass jar and leave it overnight (room temperature or refrigerated). On Derby Day place your tumblers in the freezer in the early morning to chill thoroughly. Strain the mint syrup into a small jug. You’ll need crushed ice. In the early days I attacked a bag of ice with a hammer for this, but later I got an ice crusher attachment for my food processor. To prepare the juleps take the tumblers from the freezer. On occasion we would rim the glasses with powdered sugar. To do this place powdered sugar on a plate about ¼ inch deep and invert the glasses in the sugar and give a little twist. This part is not necessary, it just makes the glasses a little more festive. 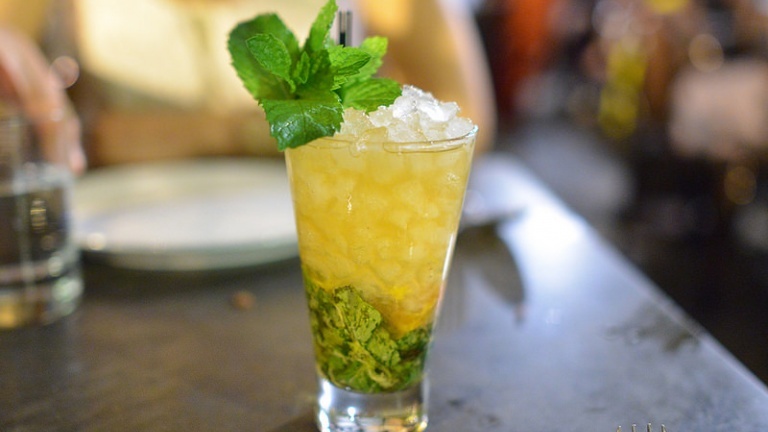 Place a tablespoon of mint syrup and a few fresh mint leaves in the glass and fill it with crushed ice. Add 2 jiggers of the best bourbon you can find. We always used 100 proof bottled and bond — Gold Maker’s Mark if we could find it. NEVER use Jack Daniels. They make some fine whiskies, but they are not from Kentucky, they are from Tennessee, and, therefore, cannot be designated as bourbon. The amount of bourbon you add is up to you, of course. Deborah made some that were PDS (pretty damn strong !!). Stir with a long-handled spoon and garnish with a sprig of fresh mint. Some people (especially bartenders) top off the bourbon with water. This is rank heresy. 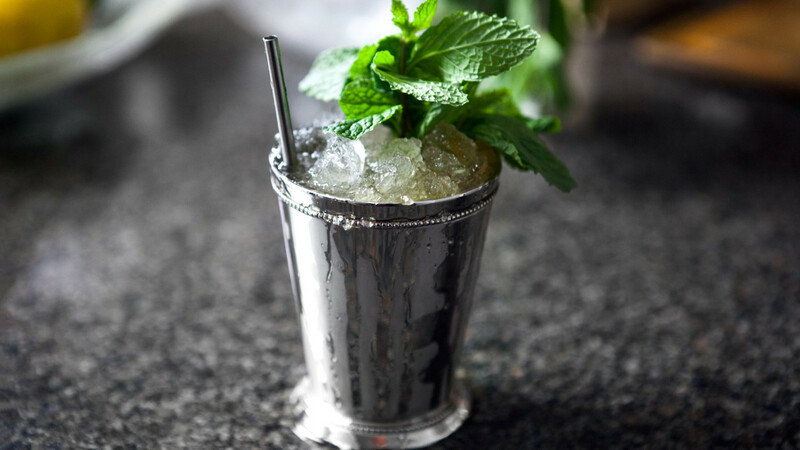 A classic mint julep is mint syrup, bourbon, crushed ice, and NOTHING ELSE. I don’t drink alcohol any more, so I will forego the pleasure this year; but there’s nothing stopping you.